The Kernos Centre is holding its annual Quiz Night in Long Melford Village Hall on Friday March 24th – the 10th running of this very popular fund-raising event. Doors open at 7.15 for a 7.30 start. Last year keen quiz fans managed to raise over £1350 in much-needed funding for our charity, which has been invaluable in helping us to continue our work offering counselling support to people in Sudbury and the surrounding area. A raffle, including prizes donated by Sainsburys and Waitrose in Sudbury, raised a further £360, making this the most successful Kernos Quiz Night fundraiser ever. 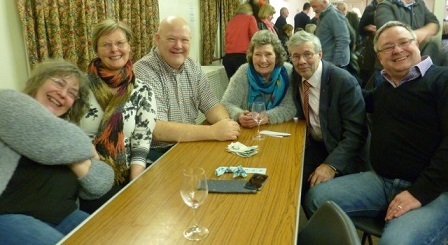 Last year’s winning team, which generously donated its prize back to Kernos, was Strangers in the Night – team members included Kernos Director David Mayes and his wife Becky along with former Mayors of Sudbury Lesley Ford-Platt and her husband Tony, both strong supporters of Kernos. 2) clicking on the ‘Donate Now’ button at the top of this screen, and following the instructions.